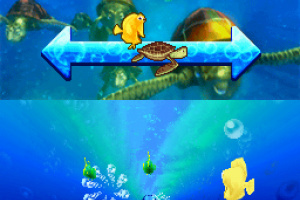 Making a splash or a drop in the ocean? 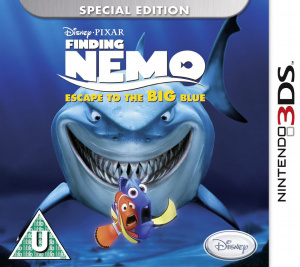 Inspired by the beloved original Disney/Pixar animated film Finding Nemo's return to the big screen in thrilling Disney Digital 3D, the Finding Nemo: Escape to the Big Blue Special Edition video game puts the journey of a lifetime in your hands as you help Nemo and his friends find their way home. Enjoy more than 30 engaging action-oriented mini-games with your favorite Finding Nemo characters, as well as exciting Finding Nemo 3D film clips. 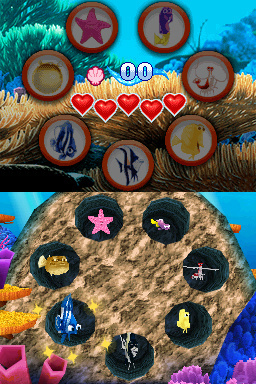 Baggy Mode - Pick one of the Tank Gang characters that have escaped from the dentist’s aquarium and use the touch screen to help roll them out to sea. 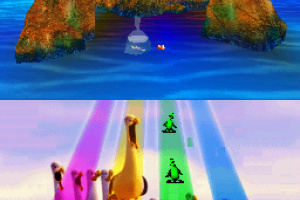 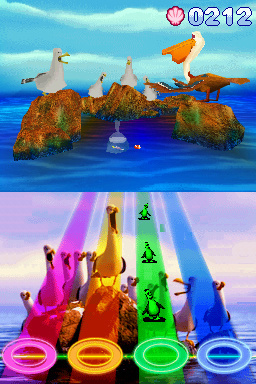 Once completed, the selected character becomes playable in the mini-games. 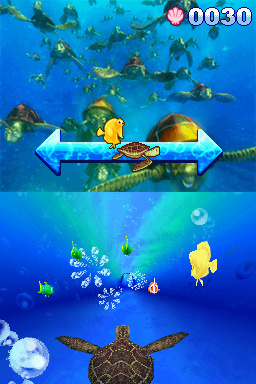 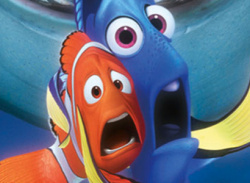 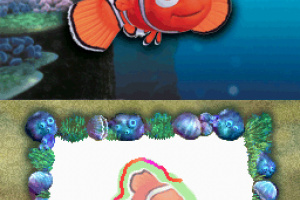 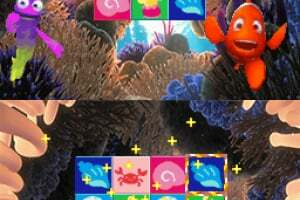 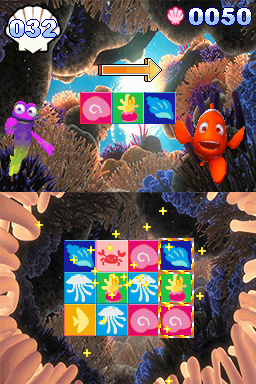 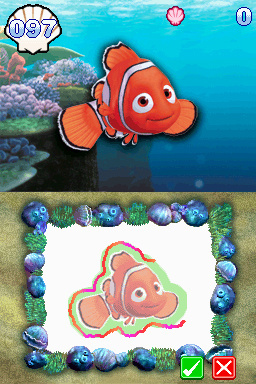 Mini-Games - Play as one of the film’s key characters: Nemo, Marlin, Dory or any of Nemo’s Tank Gang friends and earn sea tokens for each of the mini-games you complete. 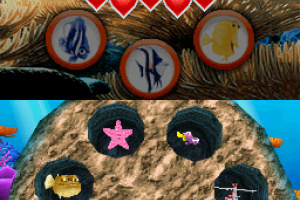 Interactive Reef - Redeem the sea tokens you’ve earned to purchase items and personalise your very own reef or aquarium.